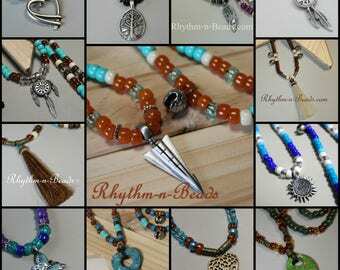 If you see a rhythm bead necklace listed, but would like to dress it up or have a different pendant.... I have a listing with rhythm bead necklace options: larger center bells, horsehair tassels and a large selection of pendants. Don't see exactly what you're looking for....Let's work together to create a custom design....just for you! Quality products, proudly handmade in the USA and shipping worldwide to satisfied customers since 2006. Message me or EMAIL rhythmnbeads [!at] gmail.com for an INTERNATIONAL SHIPPING QUOTE. Now available...Custom rhythm beads for your breast collar in your choice of colours with 7 genuine brass bells. If your bells get a build up of tarnish due to horse sweat, simply clean with Brasso cleaner or a jewelry cleaning cloth. When not in use store in a dry place wrapped in natural cotton. Be sure beads are thoroughly dry before storing. The placement of the clip is adjustable, and the above sizes will accommodate most horses, but should you require a special size, please send an email at rhythmnbeads [!at] gmail.com to request a customized size (no additional charge). All photos or artwork representing our products, shown on www.rhythm-n-beads.com website, Etsy, our FB page or any other retail outlet, are sole property of Rhythm-n-Beads. R-n-B ...Equestrians #1 source for Equine Rhythm Beads & coordinating accessories, with R-n-B’s ‘signature’ sizing and safety features©, meticulously handmade in the USA with quality you can count on. Shipping worldwide to satisfied customers and their beautiful horses since 2006. R-n-B offers Necklace or Breast Collar style rhythm beads plus coordinating accessories for mane, tail, saddle, bridle, trail packs. We have designed our necklaces with safety in mind. The materials we use include crow beads, synthetic para cord, alligator clip, adjustable sizing toggle and 7 genuine brass/gold or polished silver chrome plated brass bells for sizes mini through draft for our basic designs. Toggles make adjusting the size of your rhythm beads a breeze! *Rhythm-n-Beads NEW 'exclusive style' of breast collar rhythm beads introduced in 2015, snaps securely to your BC rings with swivel snap, and sliding toggles make it adjustable in size within a few inches range. The placement of the clip is adjustable, and the above sizes will fit most horses. If you see a necklace listed, but would like to dress it up, we have larger center bells, horsehair tassels and a large selection of pendants. Don't see exactly what you're looking for....Let's create a custom design....just for you! Email me or send me a msg and we can start designing your custom set of rhythm beads today. .....'Equine Rhythm Beads', also known as speed beads, bear bells, horse necklaces, cadence beads or horse beads, not only enhance the natural beauty of your horse, they create an auditory learning experience and are a valuable training aid used to improve performance and are quickly gaining recognition & wholehearted support from jumpers, gaited horse riders, endurance riders, dressage riders, trail riders, barrel racers & horse trainers of all breeds & disciplines around the world. 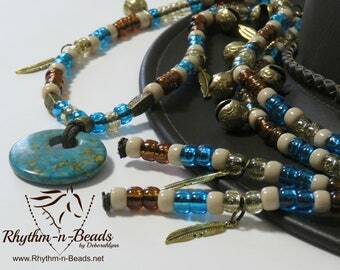 Thank you for visiting RHYTHM-n-BEADS® by Deborahlynn...helping horses and riders ~Add Rhythm to Your Ride~ ™ Necklace or Breast Collar style rhythm beads plus coordinating accessories for mane, tail, saddle, bridle, trail packs are available. 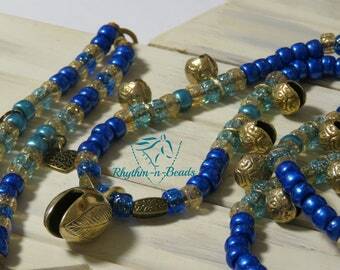 Thank you for visiting RHYTHM-n-BEADS®2006 by Deborahlynn...helping horses and riders ~Add Rhythm to Your Ride~ ™ Necklace or Breast Collar style rhythm beads plus coordinating accessories for mane, tail, saddle, bridle, trail packs are available. Your source for our Natural Horsemanship Signature necklace or breast collar style Rhythm Beads, coordinating accessories & Feathers n' Flair mane & tail bling. 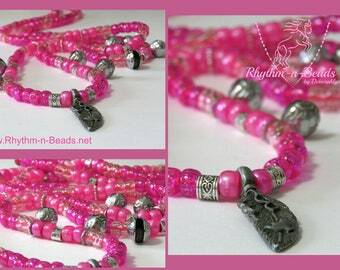 Email me and we can start designing your set of rhythm beads today. Proudly Made in the USA. Shipping worldwide to satisfied customers and their beautiful horses, since 2006!